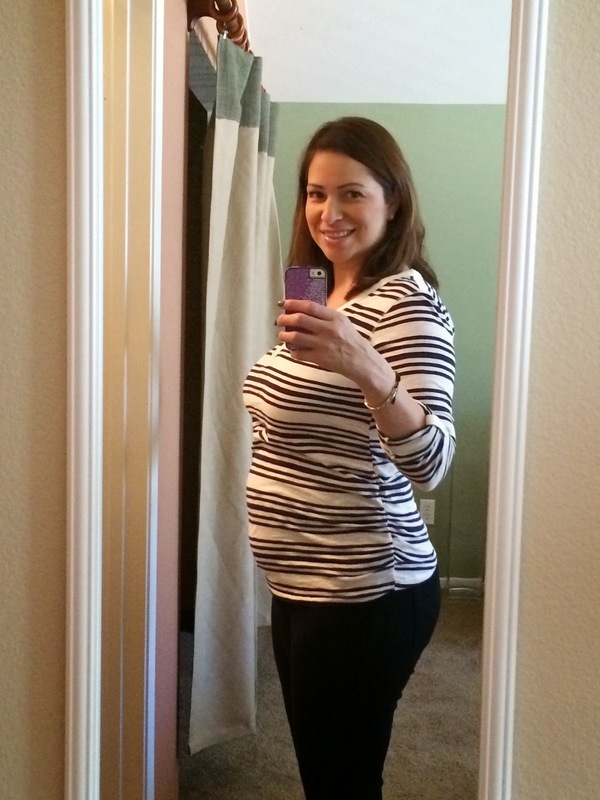 20 WEEKS PREGNANT! 5 Months Pregnant Today! We are going bananas! Yes, that is also the length of the baby today, the size of a banana. Most of you know by now that my wife has been away from home for two weeks spending time with her parents in San Diego as her dad undergoes cancer treatment. Ironically, it is in these last two weeks that her baby bump made its debut and has been growing at a crazy fast rate. Here is the photo she sent me this morning while I was in a business meeting all week in Scottsdale, Arizona. Doesn't she look stunningly beautiful! Ok, now that I shared a little of the anatomy side that still has me in awe, the surprises kept coming. Her mom recorded an awesome home video of her interviewing my wife about the pregnancy. So unique, special and totally cool. I never knew my mother in law had the talent of a reporter. She did an extraordinary job in having a conversation with her pregnant daughter and recording it. She even uploaded the video to facebook. I think I have created technological monsters of her parents as they blame me for being totally modern and using social media as a communication vehicle. Love it! So now that she is 20 weeks pregnant today, things are getting more and more real. Stop the presses. Why two measurements? Well, in the medical world, up to the 20 weeks, babies are measured only from their head to their "rump." 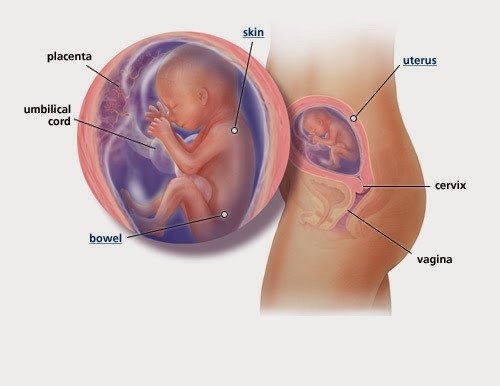 Mainly because up to these 20 weeks, the baby's legs are curled up against their torso. Making it pretty hard to measure head to toe. Starting next week, it will now be easier to measure the head to heel length. 4. 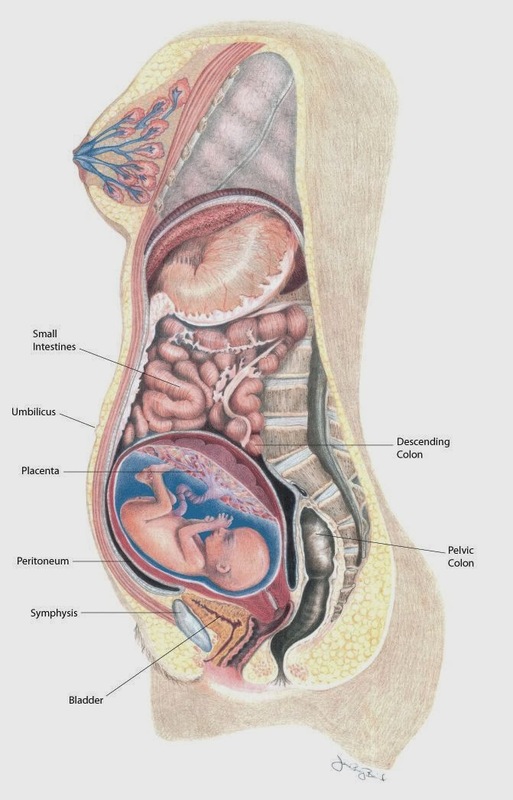 Baby is now swallowing more often helping him learn that reflex and helps his digestion. 5. He is also now producing meconium, a black disgusting looking sticky byproduct of digestion. Meconium is a gooey substance that will accumulate in his bowels and will be usually seen in his first soiled diaper (or his first poop!). Hmmmmmm, wonder if we should keep it as a memento. Ok gross, I will stop. This pic is courtesy of Cookin' Cowgirl.